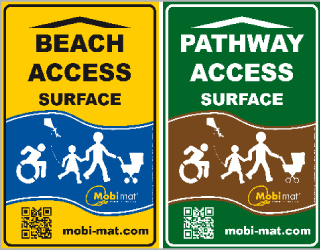 We specialize in providing beautiful, high quality, on trend Mobi-mat ® ADA/ABA/AODA portable nonslip roll-up Beach Access Mat™ RecPath™ to parks, fishing peers, picnic areas, condos, hotels, coastal resorts for people with disabilities, walkers and elderly visitors or parents with strollers. 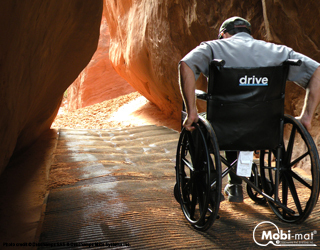 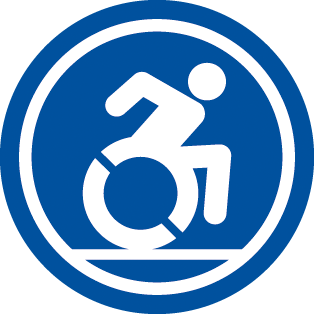 In 2014, Deschamps’ Mobi-Mat team celebrated 20 years of experience in the field of Parks and Recreation Accessibility and Vehicle Tactical Mobility. 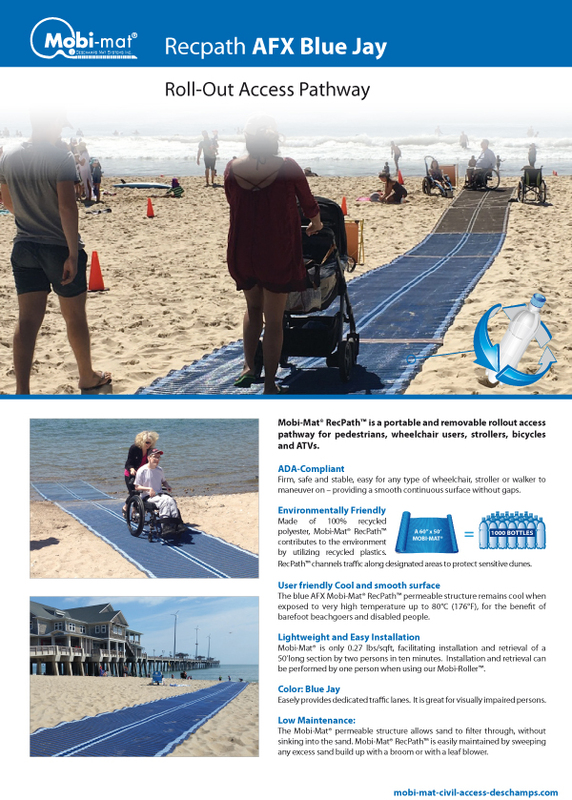 Available in various colors with white stripes for people with visual impairments, our ‘soft feel’ Outdoor Mobi-Mat® beach access roll-up RecPath™ and Ad Mat Panels™ are UV, Water and Mildew Resistant and ‘mix and match’ beautifully together to create the ‘WOW’ factor on any beach, park, trail, and outdoor events. 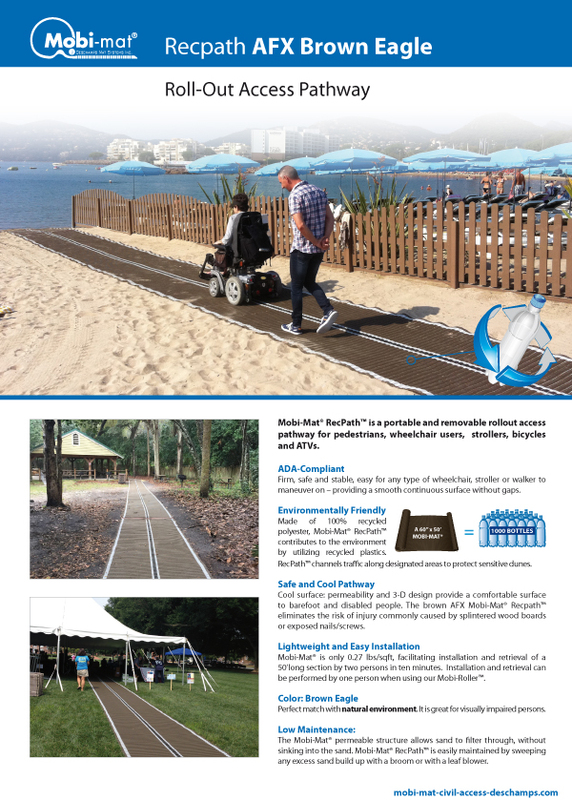 All our products are uniquely designed in the USA inspired by the sea and coastal living 🙂 Why not transform your beach into an accessible friendly place today! 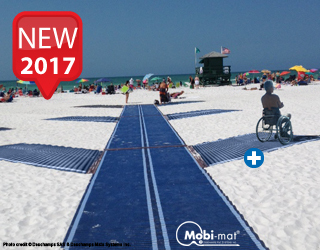 Because of its patented 3-D design surfacing, the original Mobi-Mat® ADA Beach Access Mat™ is the only nonslip semi-rigid and stable rollout pathway. 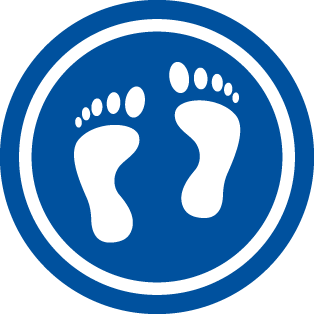 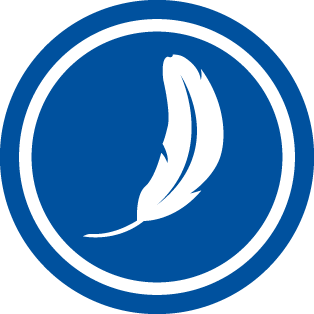 Please request sample to compare with cheaper versions. 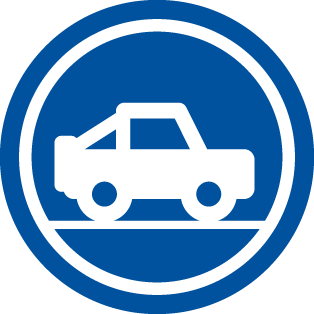 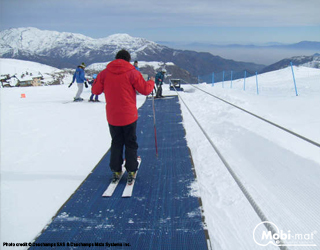 The Mobi-Mat® roll-up Mobility Mat™ is the ideal NONSLIP beach access surfacing especially for slopes and beach inclines and remains nonslip during inclement weather. 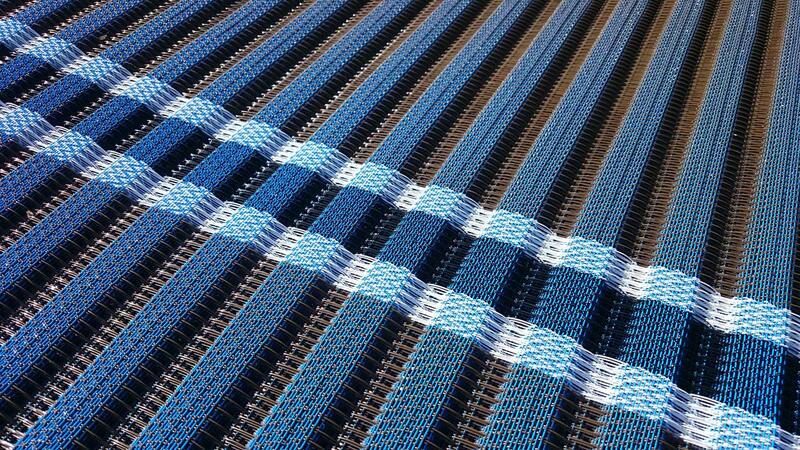 Our Mobi-mat® range features 100% Recycled Polyester. 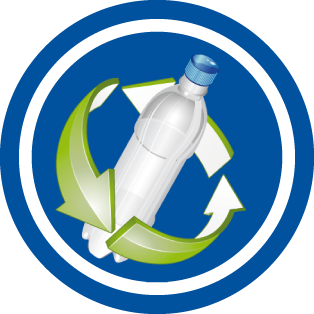 Deschamps Mats Systems’ “Go Green” initiative is aimed at protecting the environment by making better use of natural resources and working for the good of the global community. 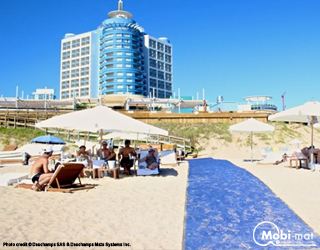 Mobi-Mat® Beach Access Mat™ is a 100% recycled polyester roll and its production contributes to the environment by utilizing recycled plastics and is also recyclable. 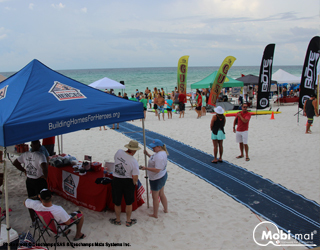 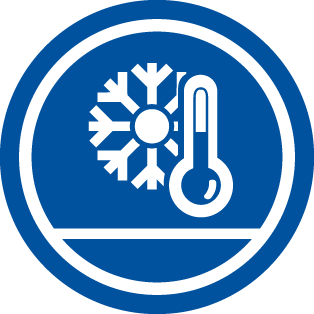 We use a variety of eco-friendly materials, including Recycled Polyester. 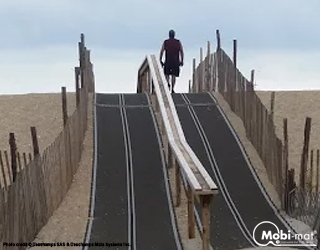 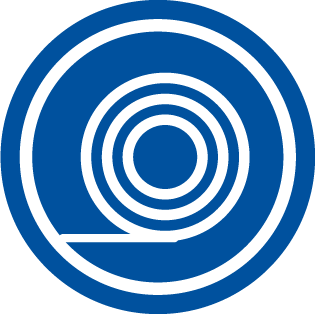 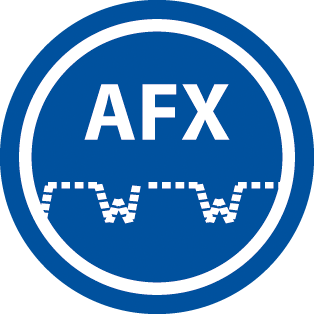 These are great alternatives to chemically-based or synthetic fibers and can be used in many products including RecPath, Mobi-Fence™ sand fences, Mobi-mat® Tentfloors and more. 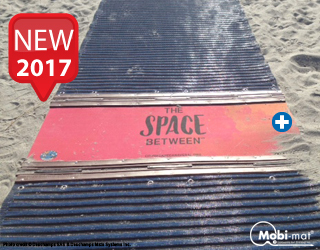 Mobi-mat® Beach Access Mat™ is the only tear resistant and most durable beach access mat surfacing available. 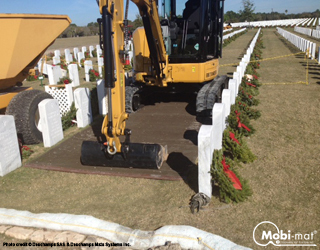 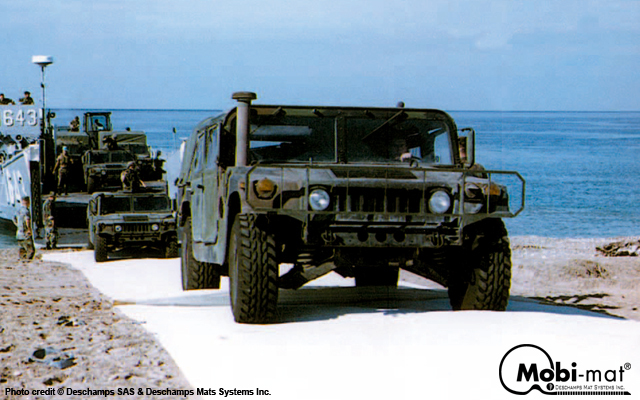 Originally designed with US Marines Corps in mind for vehicular beach landing operations, Mobi-mat Beach Access Mat™ (BAM™) has been extensively used by the Marine Corps Expeditionary Units for the past 20 years. 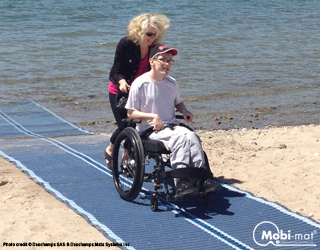 Mobi-Mat® Beach Access Mat™ can extend into the water and allows handicapped people to transfer in their beach wheelchair or Mobi-chair®floating beach wheelchair to enjoy the water. 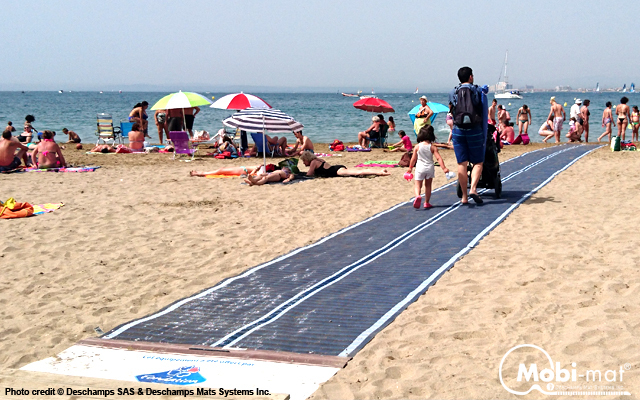 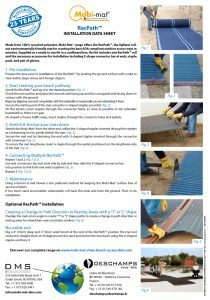 The Mobi-Mat® roll-up Beach Access Mat™ walkway weighs only 0.27 lbs/sqft (1.3 Kg/m²), facilitating installation and retrieval of a 50’ long section by two persons in minutes. 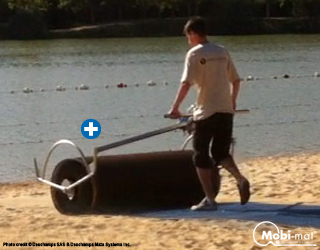 Installation and retrieval can be performed by one person when using Mobi-Roll’N Stow™ dispenser. 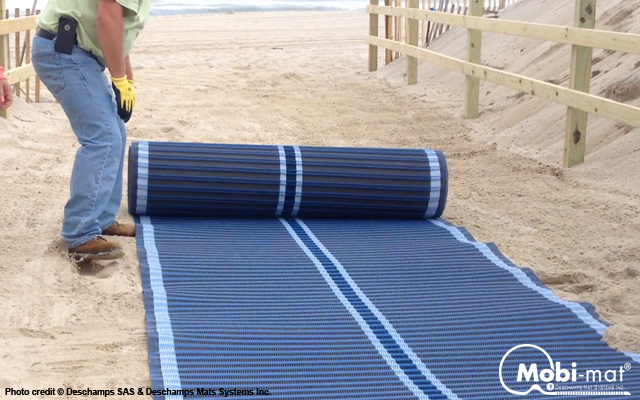 The Mobi-Mat® Beach Access Mat™ permeable structure allows sand to filter through and is easily maintained by sweeping any excess sand build up with a broom or with a leaf blower.